Home » Articles » Category: "Retail & Wholesale"
Our world has become very convenient. No longer do we have to hunt small animals or forage in the woods for food and clothing to keep us warm. These days, we pop down to the supermarket or the corner shop to buy everything we need. This is where retailers, wholesalers, producers and manufacturers come in. They all have a role to play in the supply chain, but most of the general public only deal with the retail and wholesale industry. In the world of trade, many people are unsure what the difference between retail and wholesale is. The easy answer is that the wholesaler sells to the retailer, and the retailer sells to the customer. 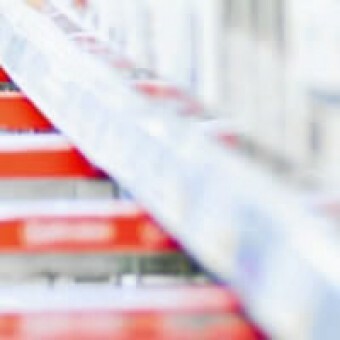 In truth, there is much more to retail and wholesale, and both are important building blocks of any economy. Producers mostly deal with wholesalers. They are the middlemen between the producer and the retailer. Wholesalers frequently sell in bulk and are often not allowed to sell to the public. As a result, a wholesaler doesn’t have many costs and those that are incurred don’t change much, whether selling one or a thousand of something. Usually, wholesalers sell a large number of items to retailers, who then repackage and resell the items to the public. Retail is any sale to an individual or company for end use. Retailers has costs such as rent, employees and advertising. They also have to make a profit to stay in business. These costs are added to the price of the product purchased from the wholesaler. Therefore, it is almost always more expensive to buy retail than wholesale. According to the MSC Business College, the wholesale and retail sectors in South African remains the 4th largest contributor to the Gross Domestic Product (GDP), contributing 14%. More than 3 million people work in wholesale and retail in the country, making up 26% of the economically active population. It is clear that both retail and wholesale fulfil important roles in the trade cycle, which ultimately makes our lives a whole lot easier.